An image released by Audi shows an overhead view of the new concept. Audi will introduce a new design direction with a concept car debuting next month at the Los Angeles Auto Show. The concept will be the first Audi vehicle styled under Marc Lichte, who took over as head of Audi design in February after leading exterior design at Volkswagen. The company says the show car foreshadows a new chapter of exterior and interior design on upcoming Audis and emphasizes sportiness, lightweight design and Quattro all-wheel drive. “Audi here is placing the accent even more firmly on the sporting dimension, something that will characterize the whole upcoming generation of cars,” Lichte told Auto & Design magazine. 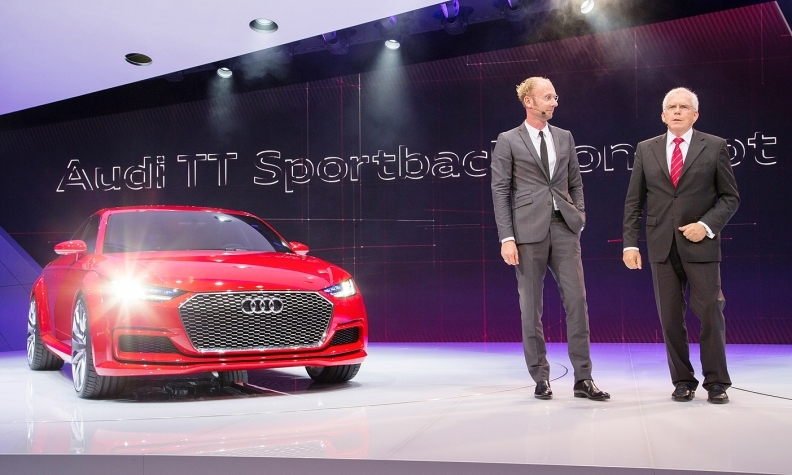 Marc Lichte, head of design for Audi, left, and Ulrich Hackenberg, head of technical development for Audi, right, introduce the Audi TT Sportback concept at the Paris auto show this month. 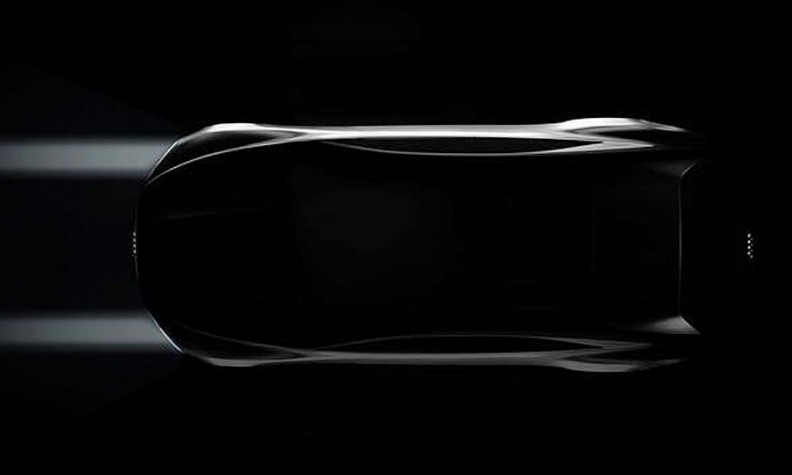 Lichte will unveil a new concept at the L.A. auto show next month heralding a new "design idiom" for Audi. Lichte, 45, took the reins at Audi Design after former design boss Wolfgang Egger’s move to Italdesign Giugiaro, an Audi subsidiary, in February. Before joining Audi, Lichte had overseen exterior design at Volkswagen since 2006. Since joining VW in 1996, Lichte’s work has included the last three generations of the Golf hatchback and Passat midsize sedan, in addition to the Touareg crossover and Phaeton luxury flagship sedan, according to Audi.